Surfers suffer high rates of cataracts, pterygim and other eye health issues and it is no surprise. Surfers spend as much time under the sun as they can and their surroundings are especially harsh. Surfers are always under direct sunlight without any hope for shade. They have to deal with reflection off the water which can reflect up to 80% of sunlight. The sunset surf on the west coast (dawn patrol on the east coast) is always accompanied by staring straight into the sun AND glare off the water. But what is it exactly that damages surfer’s eye health? Cataracts are the world’s leading cause of blindness but fortunately in the developed world there are resources enough for cataract surgery. In the US alone 20 million people suffer cataracts by the age of 40 and by the age of 80 more than half of Americans have them. What is worse is that because of the conditions that surfers expose themselves too their rates are substantially higher. With the surgery costing between $3,200 and $4,500 per eye and with a recovery time of several weeks it is an expensive proposition. The only way to protect against cataracts is to reduce your eyes’ exposure to UV radiation. Pterygium so frequently affects surfer’s eye health that it is often called "surfer’s eye". 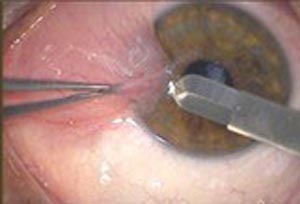 Pterygium is a benign growth on the inside corner of the eye. Beyond being a bit ugly they start off as harmless. But pterygiums can become irritating and they can grow to the point that they cover the pupil. When this happens pterygiums need to be surgically removed which runs $2,000 to $3,000 per eye. 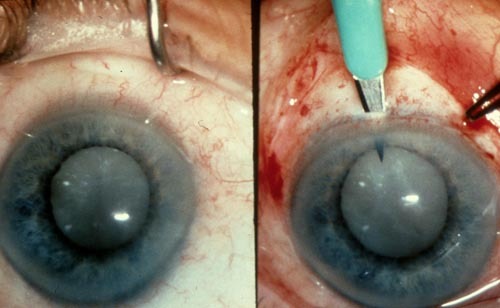 The causes of pterygium are over exposure to direct sunlight and possibly spray and wind. Surf Sunglasses protect against all these causal factors. Surf Sunglasses are designed to protect surfer’s eye health by providing 100% UV protection and guarding against the wind and spray of the ocean. Surf sunglasses are designed for use in the ocean so by necessity they are built strong, have a head strap and hydrophobic coated lenses. For more information about surfer’s eye health or surf sunglasses visit www.WearSurfGlasses.com The Surf Sunglasses Super Store.